After her stunning restoration at Pendennis, the 50-metre Malahne is available for charter in the Mediterranean this summer through Edmiston. Originally designed by Charles E. Nicholson and built by Camper & Nicholsons in 1937, Malahne now sports an engaging Art Deco-themed interior by Guy Oliver at Oliver Laws, which incorporates period telephone sets. She sleeps ten guests with 11 crew, and is available from €135,000pw (low season) to €154,000pw (high). 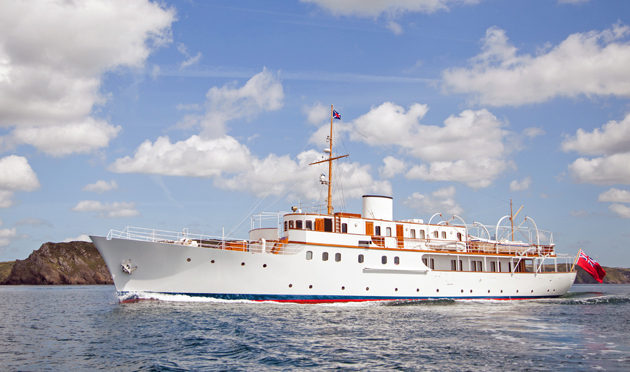 “Malahne is a truly remarkable yacht, totally restored to her original 1930s authenticity. With an exceptional crew, she’s the number one choice for the true yachting connoisseur to charter in the Mediterranean this summer,” says Edmiston chairman Nicholas Edmiston. On-site project management at Pendennis was provided by Edmiston Yacht Management and classic yacht specialist G.L. 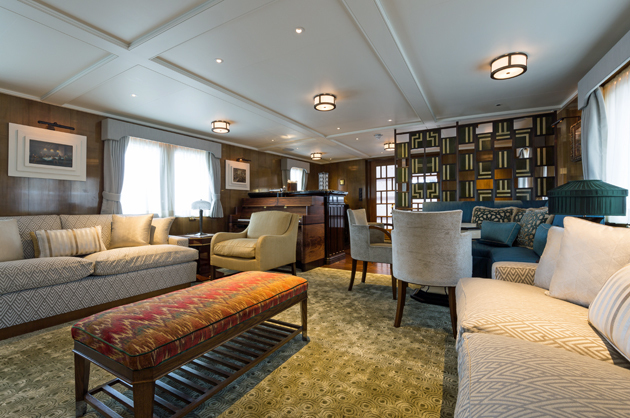 Watson, who also provided the exterior design and the interior design for the crew accommodation. The rich history of the yacht includes taking part in the evacuation of allied troops from the beaches of Dunkirk in 1940. One of the yacht’s owners in the 1960s was film mogul Sam Spiegel and the yacht often played host to Hollywood stars, including Elizabeth Taylor, Greta Garbo, Grace Kelly and Jack Nicholson were among the stars who graced her decks.